Temperatures tend to go to extreme heights during the summer and that can cause drought stress to lawns and gardens. You may be wondering why your lawn is turning brown or whether you can revive dead grass by watering it. There are easy answers to that but it’s better to know the signs of summer lawn stress and how to repair drought-damaged grass. What causes summer lawn stress? As temperatures rise, grass turns brown and withers. There are several things to look for in order to determine what causes stress to your grass, why it turns brown, and how to keep your lawn healthy during the summer heat and drought. Find a brown patch of grass and try to pull it. If it stays firmly rooted into the soil and can’t be pulled out, then it’s brown due to drought. Check the moisture and hardness of the soil underneath your lawn using a screwdriver, or garden spade. Push it into the dirt around brown and green patches of grass. If it goes in easily and comes out damp around green grass, but can’t penetrate the soil around brown patches then it’s too dry. Take a general look at your lawn. Is the whole grass brown or are there green and brown patches? If drought is the main cause for lawn stress, there should be brown spots here and there, usually in areas with direct sun and little to no access to water. Another early sign of drought stress is that your footprints remain in the grass when you walk over it. Wilted grass blades are another telltale sign your lawn is in desperate need of water. You may not know it but grasses can go into dormancy just like any other seasonal plant. Grass dormancy occurs in long, dry periods. Cool-season grasses go into dormancy during the summer and revive in autumn, while warm-seasoned grasses go dormant in the cold weather when the temperatures drop. Both types of grass remain alive during the dormant period and return to life when the right temperatures and conditions occur. If a lawn doesn’t receive enough water, it will go dormant in order to protect the crown and the roots from stress damage. If still receives little, sufficient amounts of moisture, it will remain green, but the grass blades will stop growing. If it turns brown, don’t water it unless you intend to provide irrigation throughout the whole period of drought. However, if your lawn is newly-laid, you shouldn’t let it go into dormancy. The root system isn’t developed properly yet. As a result, your new turf might not survive a dormant period without damages. You might even end up laying new turf or reseeding the whole lawn all over again. 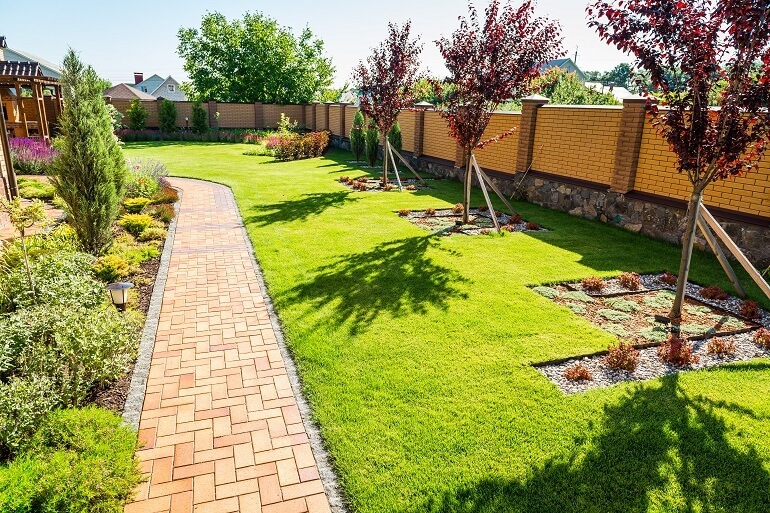 Your green lawn can quickly turn brown if it’s attacked by pests. Some insects target the roots, while others munch on the grass blades. In order to find out if the grassroots are under attack, you have to pull a brown patch of grass from the ground. If the patch comes out easily from the soil and there are almost no roots, then you might be dealing with white grubs. If there are patches of grass that look shorter as if they’ve been mowed too closely, then your lawn is under attack by insects that eat grass blades. It’s hard to determine whether a lawn is in dormancy or if it’s dead. Especially during a hot summer or cold winter as grass goes dormant as a defence mechanism. If you suspect your lawn is dead due to drought, all you have to do is water it regularly. If it turns green slowly and steadily, without brown patches, then it was in dormancy. If there are still brown patches left, they the grass there’s already dead and you’ll have to replace it. On the other hand, it’s hard to determine if your lawn is in dormancy or dead during the winter. It’s better to wait for spring to come and do its magic. If it turns green, it’s all good. But if it remains brown, wilted and ugly-looking, then you have to think about laying a new lawn or reseeding. Drought and hot temperatures are the perfect conditions for lawn diseases and weeds to spread. Grass becomes weaker due to the lack of moisture and diseases spread easier and faster. Your lawn might be turning brown because of this. Proper summer lawn care is a must if you want to have thick, green turf throughout the whole season. There are a few things you could do to help your lawn survive drought and hot weather. Should I mow my lawn during a drought? 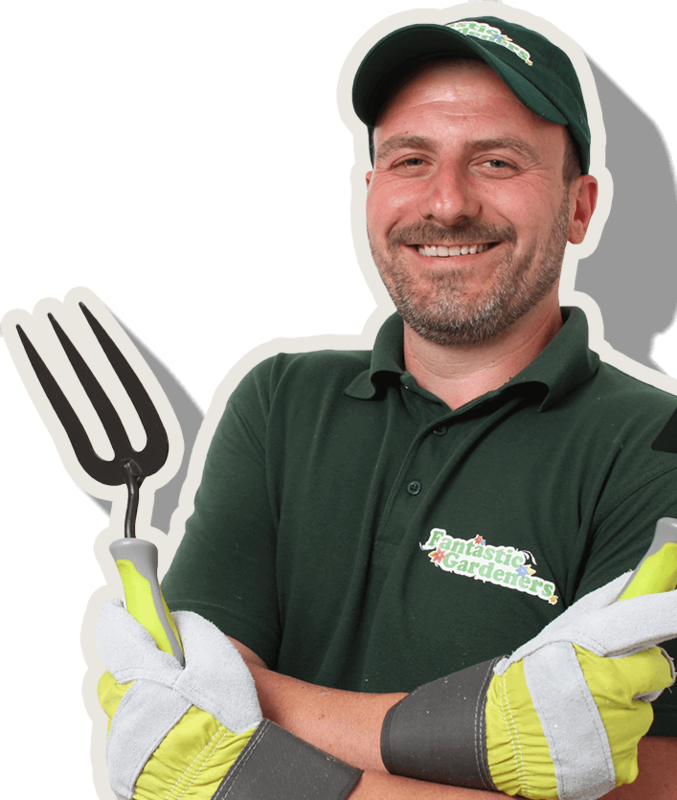 – Yes, you can still cut grass during dry periods but make sure to raise the height of the blades. This way you’ll avoid damaging the grass blades and allowing diseases to enter them. Higher mowing also allows the grass clippings to fall over the lawn and act as a mulch, retaining moisture in the soil. However, make sure the clippings aren’t too big, or they’ll do the opposite and smother the grass. Should I water my lawn during a drought? – If you don’t want your lawn to go into dormancy, then you should regularly water it. Especially newly laid lawn in order to promote root system development. How often should I water my lawn? – Old, well-established lawns should be watered on a regular basis and deep. Wait for the soil to dry out, but don’t allow it to become rock solid. You can aerate before watering, using a garden fork or spade. Punch small holes in the soil in order to help water reach deeper. The best period to wait between watering is 10 days. Remember not to water too much as it wastes water and promotes shallow rooting. Excessive watering encourages the development and spread of moss and turf diseases as well. When should I water my lawn? – Avoid watering the lawn when the sun is high and strong. Instead, do it early in the morning, early evening or even at night. However, avoid watering at night when the temperatures drop or moss and diseases can develop. Can I apply a fertilizer to a dormant lawn? – You won’t damage your lawn by fertilizing it during its dormancy. However, the grass will not benefit fully from the application. It’s better to avoid granulated fertilizer during a drought because it can volatilize into the air due to the lack of water. You should apply liquid fertilizers or withhold the lawn feed until the weather improves. The best time to fertilize turf grasses is September, October, and even early November as the soil is moist enough and the temperatures aren’t too high. Can I apply herbicides to a lawn during a drought? – Most commercial weed killers are most effective when the weeds are actively growing. Even though weeds grow better than grass during drought, their leaves still shrink and curl up. Fortunately, if you still decide to apply spray-on herbicides on weeds during drought, it won’t cause damage to your dormant lawn. Try not to walk on summer stressed lawns. The heat and lack of moisture are causing enough damage to the grass blades. Heavy foot traffic compacts the soil and prevents water and air from entering it. Thus, hindering proper grass growth. You can easily revive a brown lawn in the autumn. The weather provides the perfect growing conditions and the stress factors are almost zero. Clear dead and brown patches of grass and reseed. If your lawn didn’t survive the drought, now’s the time to lay new turf. It will have enough time to develop a strong root system until next spring. Avoid the use of lawn weed killers on drought-affected and dead turf in autumn. It’s better to leave it until next spring when both grass and weeds have renewed their growth. There’s no way to certainly prevent drought and the damage that goes along with it. However, you can save your lawn from browning and death with proper care. It’s important to establish an adequate maintenance program for each season. Different seasons and temperatures require different lawn care.